One of the best parts about working at a bead store is meeting local beaders! Every day introduces us to new artists and projects. After getting to know Bead Bazaar regular Jennifer Gibson better, we discovered that she owns her own business, appropriately named Ear Candy. Jennifer’s jewelry can be found both on Etsy and at The Clothes Rack on James Street, a local consignment store. We love Jennifer’s aesthetic, and after receiving a fresh shipment of Lucite for spring, the Bead Bazaar decided to do a special featuring Ear Candy. We also asked her to make a guest sample for the store! Read on for more information and inspiration from one of Bellingham’s artists! A: I’ve been making jewelry off and on since high school; I got started making friendship bracelets for all my friends. Making jewelry has come and gone in various phases of my life, and I’ve been established as a professional business for one year. Q: How did Ear Candy get started? A: My nana wanted me to fix a watch for her, so I brought out my beading supplies. On top of fixing it I added some embellishments. She liked my work so much that she encouraged me to go into business. In the initial stages people learned about me through word of mouth from my friends, and before I knew it I had a dozen requests! Ear Candy was officially established March 2011. Q: How did you come up with the name “Ear Candy”? A: The name was inspired by the idea of “eye candy”, something visually appealing. My earrings are a treat, candy for your ears. A: My work has been described as Art Nouveau. I like to have delicate, intricate pieces, simple but elegant. 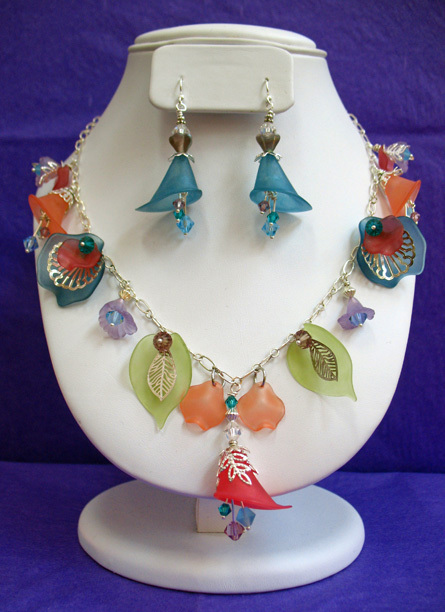 I love colorful things, Lucite, Swarovski crystals, and pearls. Larimar is my favorite gemstone. I almost always work with silver, sometimes with brass and gold. My work has a hint of bohemian influence; I love Tibetan pieces and Bali silver. I also make my own Fimo Clay Beads. A: I’m inspired by the materials and colors. I’ll see something in the world around me, on a sign or in a picture, and I’m inspired by the colors that work together. My friend’s wedding colors were tomato red, aqua, and white. This color palette probably inspired a dozen different jewelry pieces, and people loved them! A: My nana- She always had confidence in me and really pushed me to sell my jewelry. As a result, she has a lot of my earrings! For anyone who’s going to start doing this, it’s important to have support from the people around you, both a cheering section and practical support. My husband helps by taking care of the kids, giving me time and a quiet space to work. Q: How do you get out of your creative ruts? A: I don’t push it. Sometimes a creative rut is your brain’s way of telling you “you need to walk away for a bit”, so I take a break and take time to relax. If I’m working on a deadline I look through magazines and at other projects and usually start to find more inspiration. A: I have two sons, 8 years and 10 years old! I volunteer at their school, Cordata elementary, twice a week. They have a kiln, and teacher who helps them sculpt. I help with that and with math. I have some lapidary experience and want to get into silver-smithing. I also have experience with graphic design; I designed my business cards! Q: Do you have any hopes or ambitions for Ear Candy in the future? A: I want to move from Etsy to selling on my own website. I would also like to sell in more stores, further reaching than Bellingham. I would love to either design for a label or expand Ear Candy and my own label, and maybe start to include some more high-end materials and designs in my work. Thank you, Jennifer, for sharing your creativity with us! Want to check out Jennifer Gibson’s Etsy Page? Stop by http://www.etsy.com/shop/JensEarCandy and make sure to show her some love! We’re so proud of our Bellingham Artists, and want to thank Jennifer Gibson for allowing us to interview her. Happy Beading! 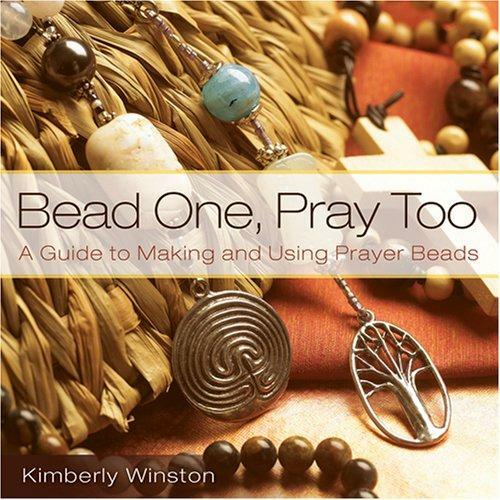 Whether used for prayer or meditation, there’s no denying the soothing qualities of gently running the beads through your fingers as your count or pray. In many cultures, this is a long-used practice; different beads are given different meanings which you reflect upon as you use them. Some prayer beads, like Malas and Rosaries, follow a design with specific numbers of beads. Others are more free-form, a set of beads strung to correspond with a specific prayer or that just reflects your spirituality. 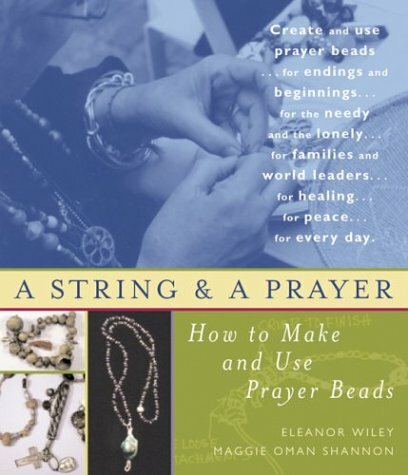 A couple of good books which discuss building prayer beads are Bead One, Pray Too and A String and a Prayer. With an upcoming workhop on making prayer beads, the Bead Bazaar is reposting a previous blog entry. This original blog entry was published August 12th, 2010. The Bellingham Bead Bazaar is pleased to announce that we now carry a selection of Buddha Beads. Also called “power beads”, Buddha Beads are the round, three-holed bead found at the end of a Mala. Our Buddha Beads come with a matching cylindrical bead to feed your thread through and end off the project. Malas are the prayer beads used by Buddhists for meditation. They consist of 108 equally sized beads, preferably something smooth for ease of handling. The beads are used as counters and run through your hands as you pray. Buddha Beads can be difficult to find on their own, but with these new beauties in stock, it’s now easier than ever to construct a customized Mala. Another common set of prayer beads takes form in the Rosary. 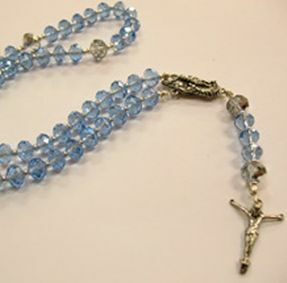 Used by Catholics, Rosaries consist of 5 groups of 10 beads, representing repeated prayers to Mary. These are spaced by 4 larger beads, representative of the Lord’s Prayer. Rosaries typically feature a Y-piece at the end. These Y-pieces will often have images of Mary, and connect to another three beads and a crucifix. Not only is the Bead Bazaar the place for a wealth of beads, but we also carry some rosary pieces, both in sterling and silver plate. Choose from a variety of crosses for the end, or use a traditional crucifix. Buddhist or Catholic, Jewish or Pagan, you’re sure the find the perfect devotional pieces at the Bead Bazaar! Our diverse selection includes the Star of David, the Hand of Fatima, Goddesses, Pentacles, and many other symbols. Make sure to check our stock for the religious symbols of your choosing, and perhaps take the opportunity to make a piece that means something special to you. We’ll be seeing you soon!